* From the end of the lens, wide-angle end only. 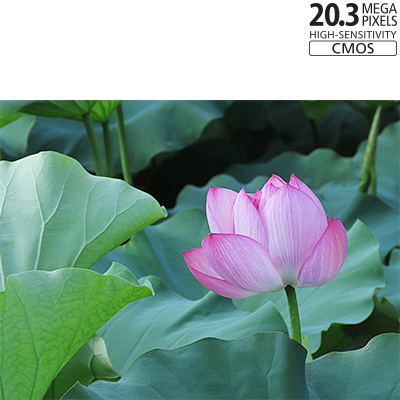 20.3 Megapixel* CMOS Sensor and DIGIC 8 Image Processor. 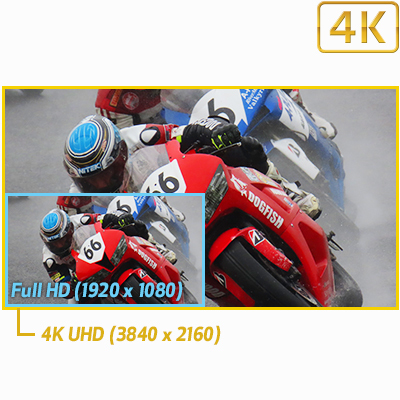 Capture 4K videos^ at a frame rate of up to 30 fps for super-high definition, cinematic results. 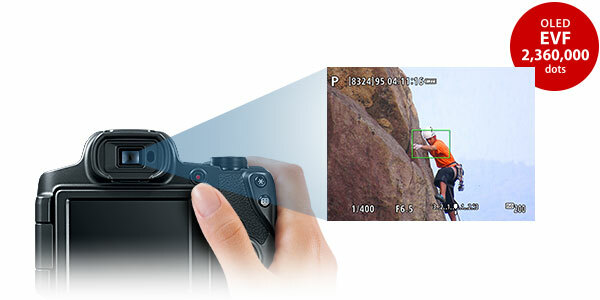 Recording at almost four times the resolution of Full HD, you can see your subject in stunning clarity. Beautiful time-lapse videos can also be created in 4K simply and easily with the dedicated Time-lapse Movie mode. You can also harness the power of 4K frame cropping^^ to extract still images from your video recordings. All of this is possible in-camera without the need for additional software. An optional external microphone (Ø3.5mm ) is also provided for serious audio recording to match the high-quality video you’ll capture. 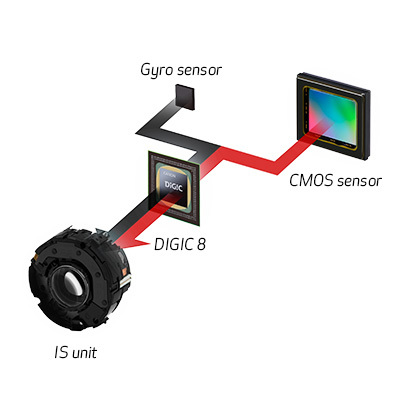 ^ Shooting takes place by cropping pixels from the center of the sensor. ^^ Saving a still image from a single movie frame may not result in the same image quality as a normal still image. Still image aspect ratio is 16:9. When trimming, the images will be cropped, and the angle of view is smaller. Built-in Wi-Fi®** and Bluetooth®*** for Quick and Easy Sharing. The PowerShot SX70 HS camera is designed to make using Wi-Fi®** connectivity fast and easy. 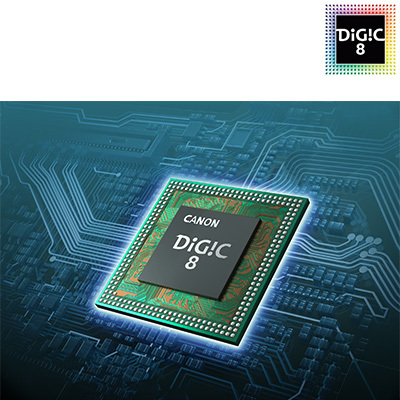 It can transfer files directly to a compatible smart device using the free Camera Connect app. 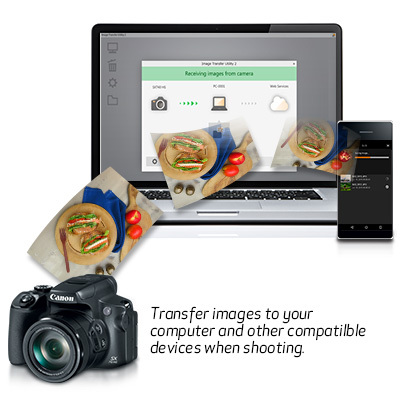 Simply connect to the Camera Connect app** to transfer images to your smart device, then share and upload from the device directly to various social media sites and web services or print directly to compatible wireless Canon printers. 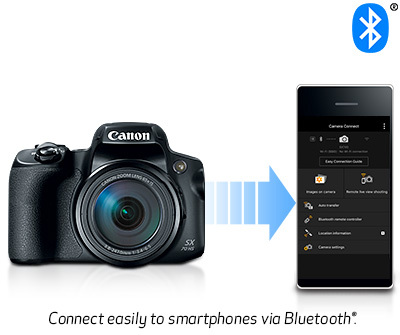 Bluetooth®*** pairing helps you connect the camera to compatible smart devices using the free Canon Camera Connect app**. 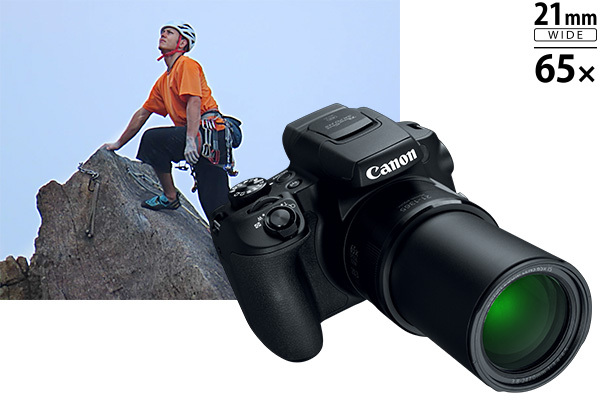 This low-energy wireless connection helps preserve battery life while allowing remote control of the PowerShot SX70 HS camera. It also sends continuously updated GPS^^^ location data from your phone, letting you geotag what you've captured so you can know precisely where you took that epic vacation photo. 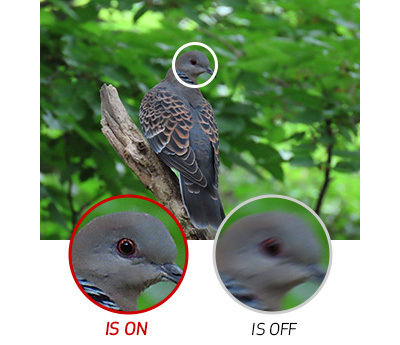 You can also establish a direct Wi-Fi® connection to use your compatible smartphone as a viewfinder, as well as check and download previously captured photos and videos. Wireless capabilities also allow you to use your compatible smart devices with the Canon Camera Connect app** to remotely control the camera, which is useful for self-portraits and group shots or for shooting from a distance (as long as the camera is in wireless range). 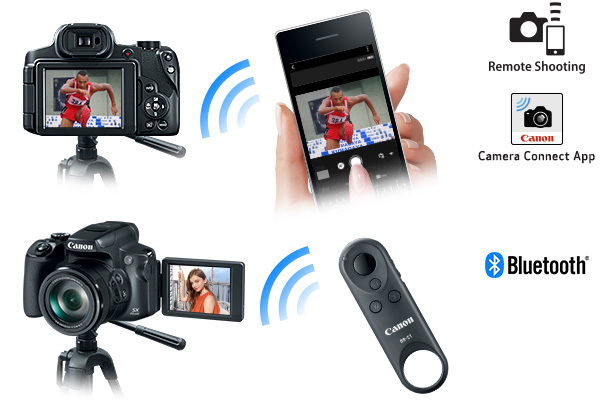 You can also connect to the optional Wireless Remote Control BR-E1 for simple remote shooting via Bluetooth®***. Backing up your photos and videos is easy with the PowerShot SX70 HS camera, which can automatically send what you've captured to your computer and other compatible devices. 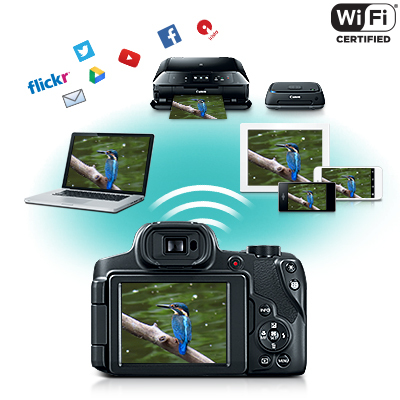 After the initial setup with Image Transfer Utility 2, all you need to do is leave your camera on when it's connected to a Wi-Fi® network and the files will be sent without any further effort from you. ** Compatible with iOS® versions 9.3/10.3/11.2, Android™ smartphone and tablet versions 4.4/5.0/5.1/6.0/7.0/7.1/8.0/8.1. Data charges may apply with the download of the free Canon Camera Connect app. This app helps enable you to upload images to social media services. Please note that image files may contain personally identifiable information that may implicate privacy laws. Canon disclaims and has no responsibility for your use of such images. Canon does not obtain, collect or use such images or any information included in such images through this app. *** Compatible with select smartphone and tablet devices (Android™ version 5.0 or later and the following iOS® devices: iPhone 4s or later, iPad 3rd gen. or later, iPod Touch 5th gen. or later) equipped with Bluetooth® version 4.1 or later and the Camera Connect App Ver. 2.2.20. This application is not guaranteed to operate on all listed devices, even if minimum requirements are met. ^^^ In certain countries and regions, the use of GPS may be restricted. Therefore, be sure to use GPS in accordance with the laws and regulations of your country or region. Be particularly careful when traveling outside your home country. As a signal is received from GPS satellites, take sufficient measures when using in locations where the use of electronics is regulated. † It is necessary to download and install Canon's Image Transfer Utility 2. Connect the camera and computer each to your home network, and only the camera must be paired with ITU2 the first time. 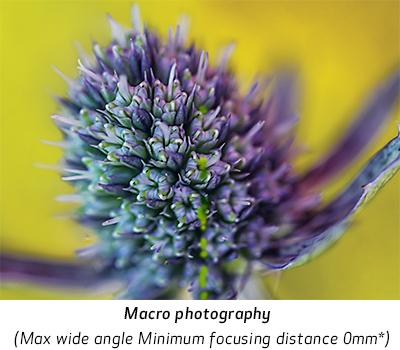 See how the combination of the impressive 65x Optical Zoom, along with an outstanding minimum shooting distance, 4K UHD capability and a high-definition electronic viewfinder can help you capture the perfect image in almost any situation.